Vertigo’s volley of new titles continues with another pair of British invaders: 2000 AD stalwart Rob Williams (who also wrote The Royals: Masters of War for the imprint) is teaming up with artist Michael Dowling (Death Sentence) to create a timely tale of social media and the dark side of human nature. 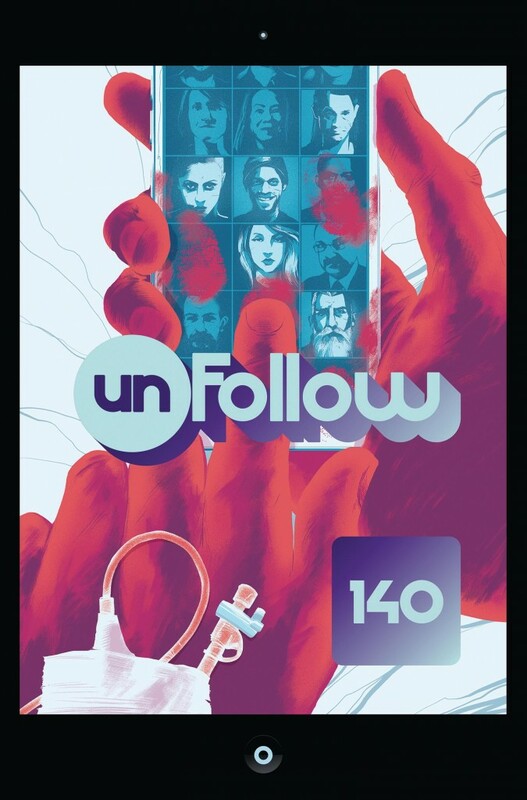 The set-up is simple enough: a dying social media mogul leaves his billions to be split evenly between a group of random people – or, more precisely, however many of the 140 characters (geddit?) are still alive at the moment of his death. That provides a global canvas for a cast of characters with a wide range of hopes and needs, including a young black man trying to get by in St. Louis, an Iranian reporter in need of hope, a retired special forces soldier with a strange sense of purpose and a thrill-seeking heiress. Rob Williams has often demonstrated the dark wit and imagination honed on his 2000 AD work, and the clear lines of Dowling and colouring by illustrator Quinton Winter, plus striking design by Tom Muller and covers by Matt Taylor, are set to make this one of the most eye-grabbing books on the shelf. Raymond Briggs’ 1978 classic The Snowman earned its title as a holiday classic entirely without the use of words. In The Troll, Martin Flink (Man of Glass) is operating on a similar wavelength. 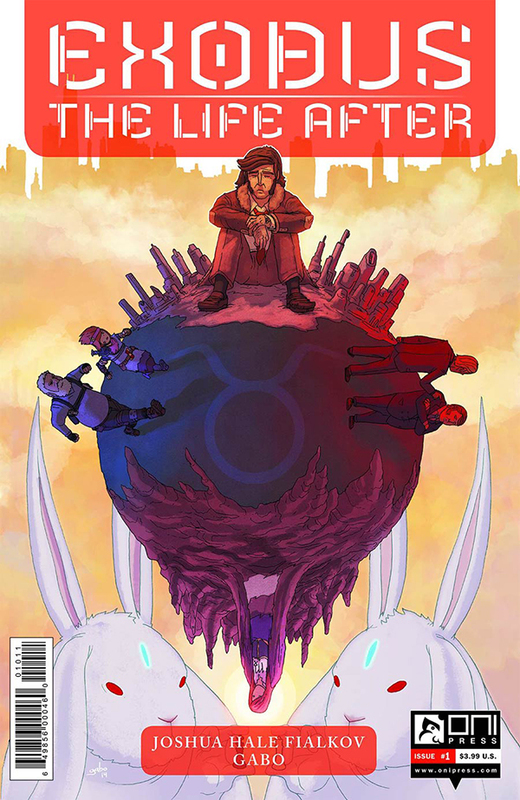 This is a short, sweet, and almost completely silent one-shot that effectively brings a fantastical world to life. 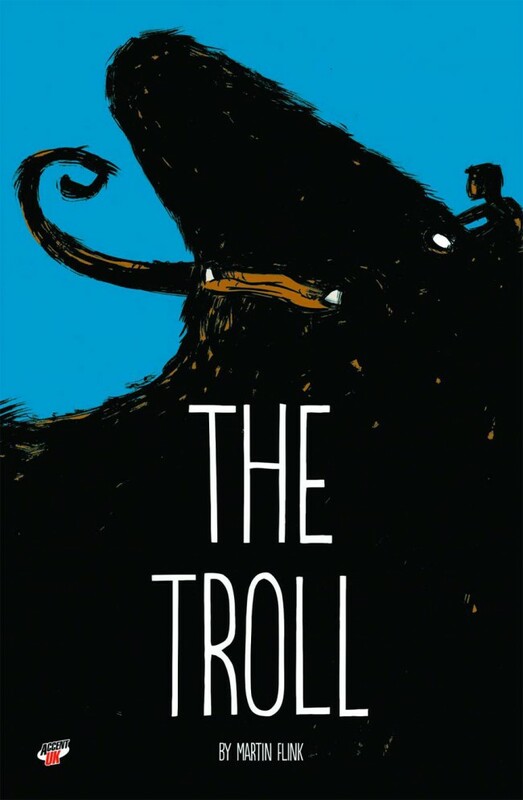 The troll of the title is no mere metaphor or Internet ne’er-do-well, but a flesh-and-blood creature who inhabits the depths of the Danish woodlands. According to Down the Tubes, Flink was inspired by a walk his young son took in the forest. That childhood perspective is a large part of what makes this story so magical. Flink’s skillful panels effortlessly convey the scale of the troll as it dwarfs our young protagonist. Yet this is no horror story, but rather a reminder that the things we understand least may also be the most awe-inspiring. This is one to share with readers young and old. This week, Marjorie Liu (Black Widow) and Sana Takeda (X-23) unveil an expansive new ongoing fantasy epic from Image Comics. 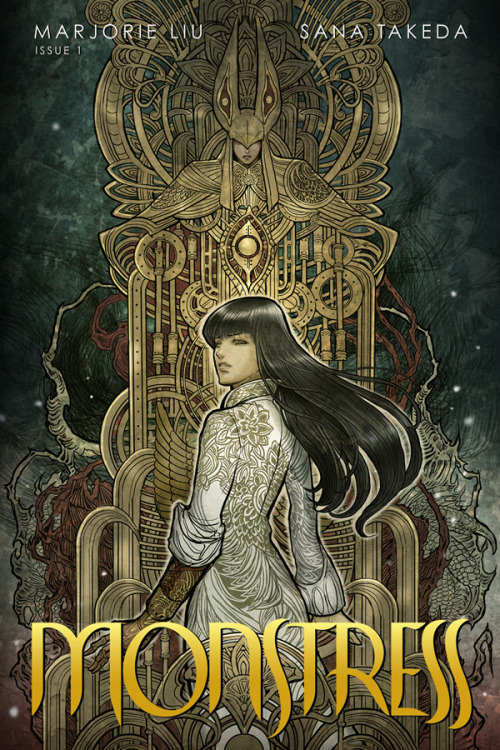 Fusing the subgenres of steampunk and kaiju, Monstress chronicles the quest of a young woman named Maika, who struggles to come to terms with her mysterious psychic link to an otherworldly creature of immense power. 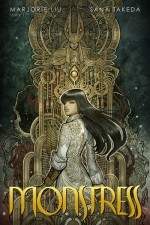 Set in 1900, in an alternate Asia, the series places Maika and her creature at the centre of a war between humanity and sinister forces from another world, their unique relationship holding the key to victory for both sides. Lushly illustrated and meticulously plotted, Monstress provides an engrossing, sophisticated escape for fantasy fans hungry for something more eclectic and exotic than your typical Tolkiensian high fantasy. Marjorie Liu (W), Sana Takeda (A) • Image Comics, $4.99. As one of the most popular and well-respected creators in the field, Mike Mignola’s impact on the realm of creator-owned comics can’t be overstated. From his distinctive graphic visual style to the construction of Hellboy’s rich fictional mythology, Mignola’s influence on the medium continues to shape its content and development. 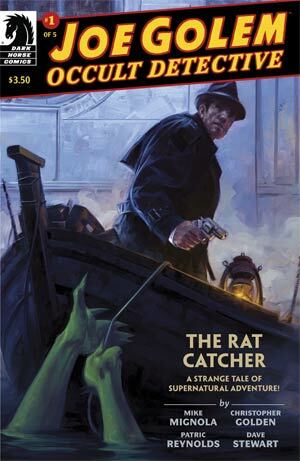 Like his popular Baltimore cycle of stories, Mignola’s latest creator-owned property, Joe Golem: Occult Detective, began life as an illustrated novel with frequent writing partner Christopher Golden. Set in the autumn of 1965, on an alternate Earth where massive flooding has turned the Big Apple into a shadowy, sodden cesspool, the five-issue limited series follows the titular detective through the labyrinthine canals of “the Drowning City”, on the trail of terrifying underwater predator preying on the city’s less fortunate. Driven by Mignola and Golden’s riveting, hard-boiled world-building and the moody, atmospheric art of Patric Reynolds (Aliens), Joe Golem is a must-read for Mignola fans looking to get in on the ground floor of his latest foray into the supernatural. Mike Mignola & Christopher Golden (W), Patric Reynolds (A), Dave Stewart (C) • Dark Horse Comics, $3.50. While the most remembered feature from 1970s/’80s British weekly war comic Battle’s will always deservedly be Pat Mills and Joe Colquhoun’s damning indictment of the First World War, Charley’s War, that doesn’t diminish the dramatic strength of some of the other serials to appear in that comic over the years. 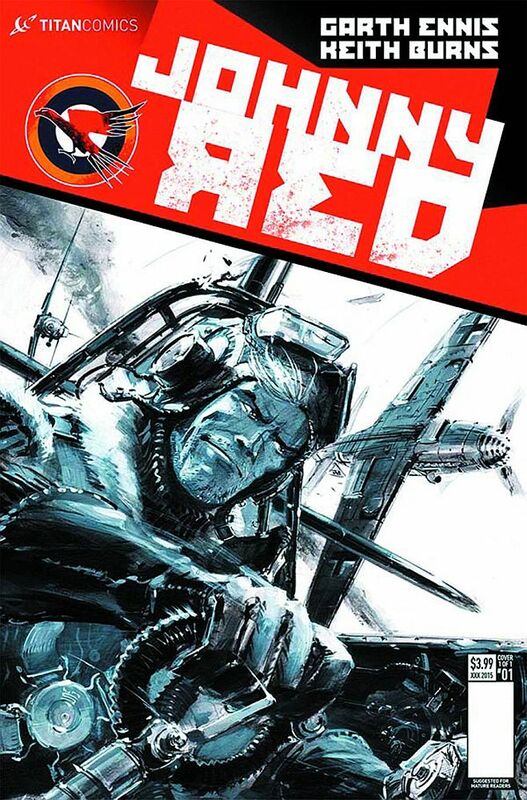 Colquhoun also worked on Johnny Red, written by IPC/Fleetway veteran Tom Tully, which chronicled the exploits of Johnny Redburn – a disgraced British serviceman who finds himself stranded on the Russian front, joining a rag-tag band of Russian pilots in one of the most brutal conflicts in the Second World War. The series with a highly original and quirky take on the afterlife returns, following up its ‘Genesis’ run with the appropriately named ‘Exodus’ series. Jude is right back where he started in Purgatory, living a monotonous life with no purpose and no memory of his previous adventures. Fortunately for Jude, his friends (including the legendary Ernest Hemingway) are working on a plan. Not only do they have to deal with the evil bosses below, but they must change the entire system of the afterlife. For this, they’ll need a new companion, and who better to challenge the word of God than his son?! Mardou’s Sky in Stereo is finally released in its eagerly anticipated complete form by Revival House Press, after a long publishing history. 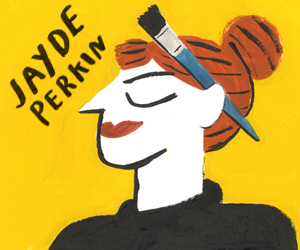 I reviewed the first self-published instalment way back in April 2012 in our ‘Small Pressganged’ column here and the second part from Yam Books over two years ago here, describing the book then as “slice-of-life comics at their most insightful”. 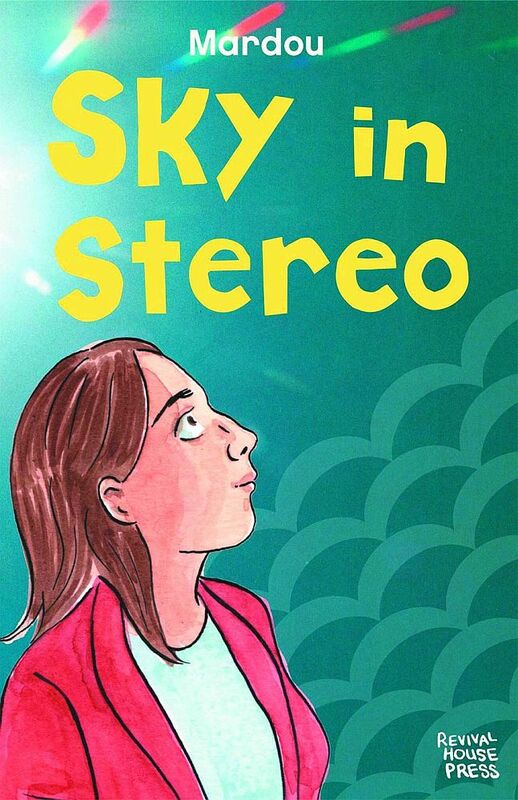 A gritty and uncompromising story, Sky in Stereo is set in Manchester in the 1990s and focuses on Iris, a young woman in her late teens who becomes involved with fellow fast-food employee Glen. As their relationship intensifies she finds herself entering a dark world of drugs culture and her life begins to unravel around her. Powerfully evocative, this painfully recognisable and long-awaited character study deserves this opportunity to be seen by a much wider audience.